One of the newest gadgets on the market that everyone seems to want to get their hands on is a drone. What once was deemed only for military use has become a favorite among amateurs and experts alike; these are not your ordinary remote-controlled flying machines. Film-makers and photographers can use them to get never-before-seen footage and picture angles. 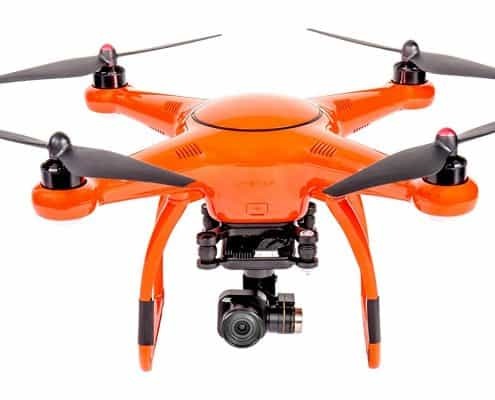 Others may use them to get aerial footage of remote locations, to survey their land, or for surveillance and security purposes. 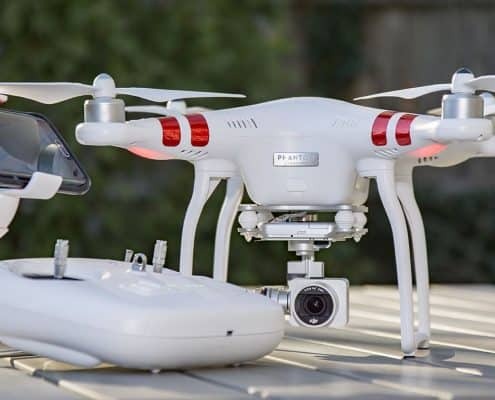 Some prefer a drone that has high-quality images and videos, while some prefer a specific drone for its flight capabilities or length of flight time. However, one thing all drone owners agree on wanting is longer flight range. 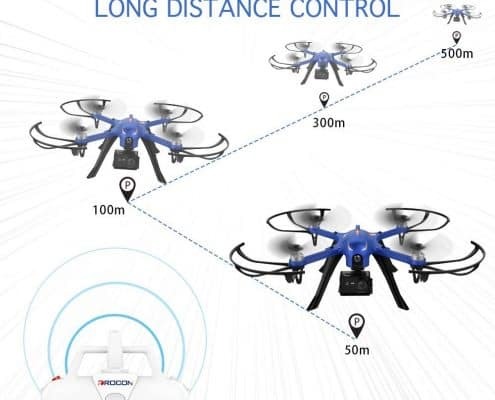 The longer the flight range, the further the drone can go, (and come back) so the more the operator will be able to see. Some drones only have a flight range of 30 or so meters, but some can go for several kilometers. When you send your drone out, you want to make sure it comes back. After all, drones aren’t cheap; although, some are cheaper than others. We’ve reviewed a variety of drones; these are the five best long-range drones for their prices. We’ve selected one for almost every budget, so you’re sure to find one that suits your purpose. 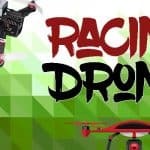 If you’re looking for a drone with long range, look no further; reading our review will help you decide! 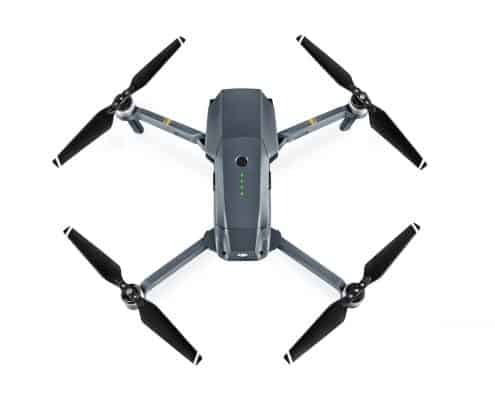 So what are the best Long Distance Drones this 2019 you ask? 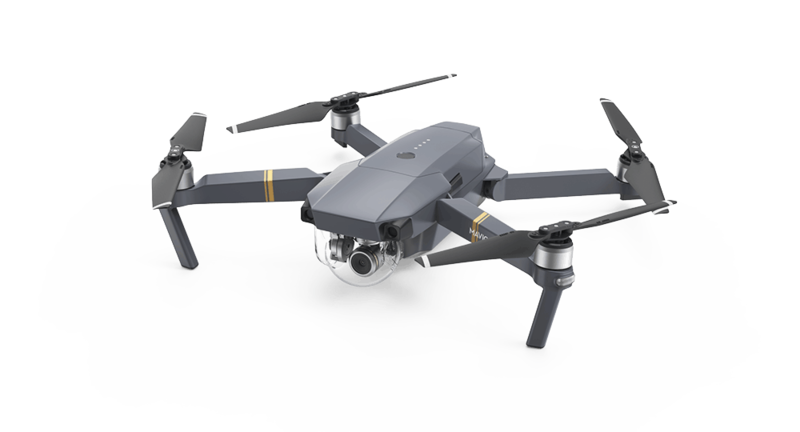 DJI Mavic Pro features a sleeker design, larger and more powerful color-rich 4k HDR camera, and a bit more alluring look than its predecessor. It uses the latest in camera technology, the Hasselblad’s proprietary Natural Color Solution that is capable of capturing 20MP shots. It has an adjustable aperture that gives users high f-numbers ranging from f/2.8 to f/11. Mavic Pro 2’s body is redesigned to increase aerodynamics and reduce body drag by 19%. The better aerodynamics and lower body drag enable the drone to achieve greater speeds of 44 miles per hour and more diagonal distance of 354 mm. 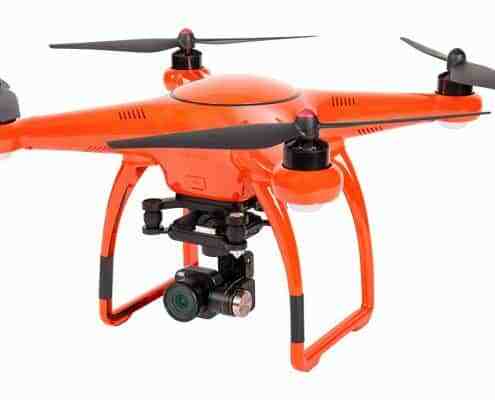 It’s the most powerful consumer drone in the market which boasts more image quality, longer flight times, and better stabilization. 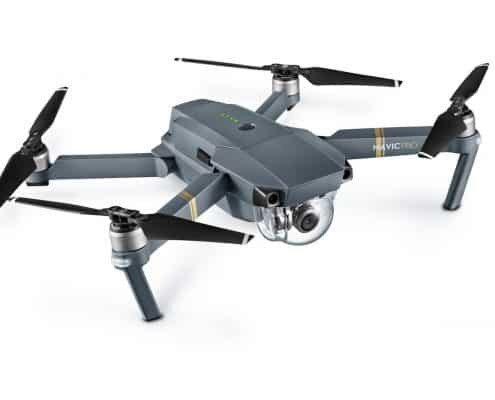 Mavic Pro 2 is based on similar folding design as its predecessor though it looks more solid and sleeker. 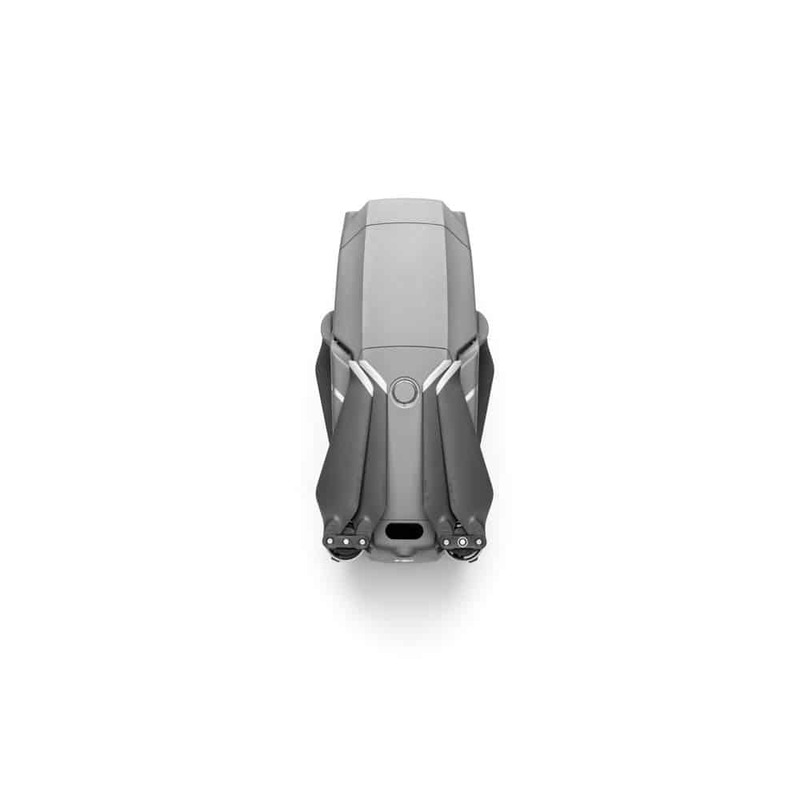 The body lines are refined making it appear more sport-like. The drone arms are bigger and feel more solid. The gimbal and camera are stuck below the frontage to increase safety. The antennas are tucked safely under the front landing gear. 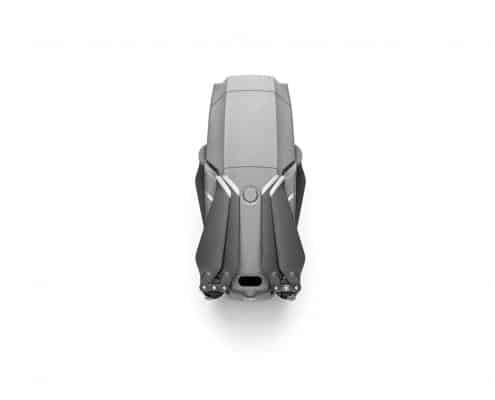 The motor design is improved to increase drone power and flying ability. Ventilation slots are added throughout the drone sides to provide ventilation for keeping the drone cool all through the flight. The gimbal cover is redesigned to increase usability. 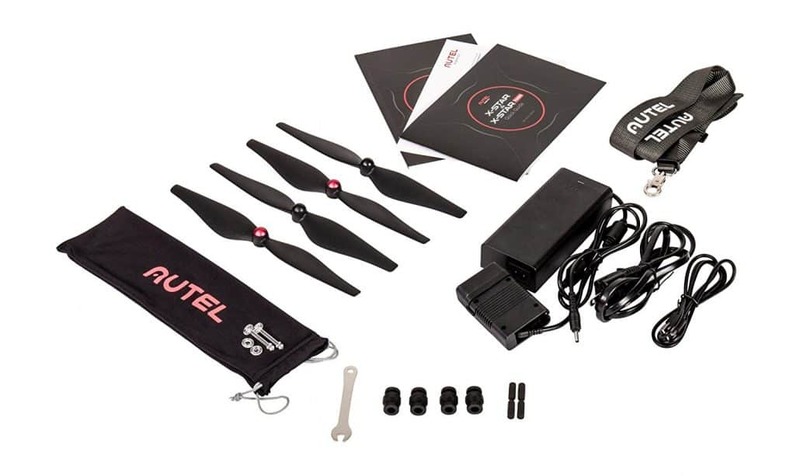 As for the propellers, they have been redesigned to improve performance, increase flight time, and lower noise levels. 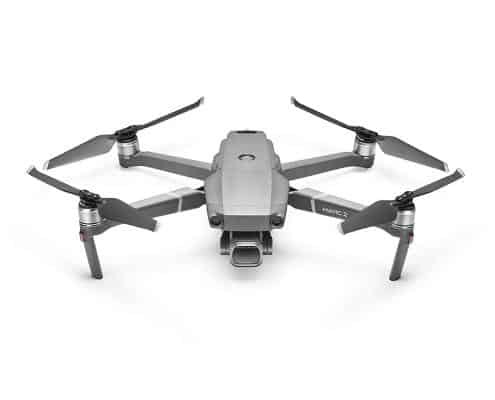 Mavic Pro 2 battery is added with more innovative design updates. The battery is tweaked to look and perform better. It includes well-fitted LEDs for monitoring charge levels. 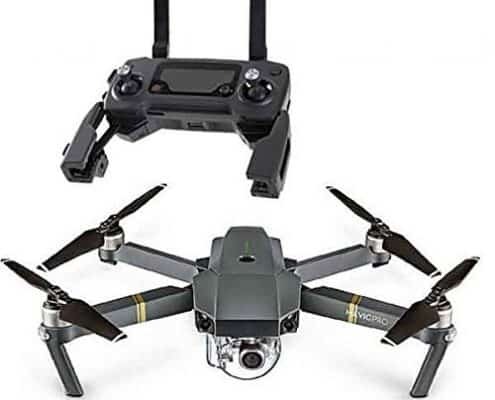 What is more interesting about the battery is that it packs more power which provides the otherwise bigger and heavier drone with more power to realize high flight time of up to 31 minutes. 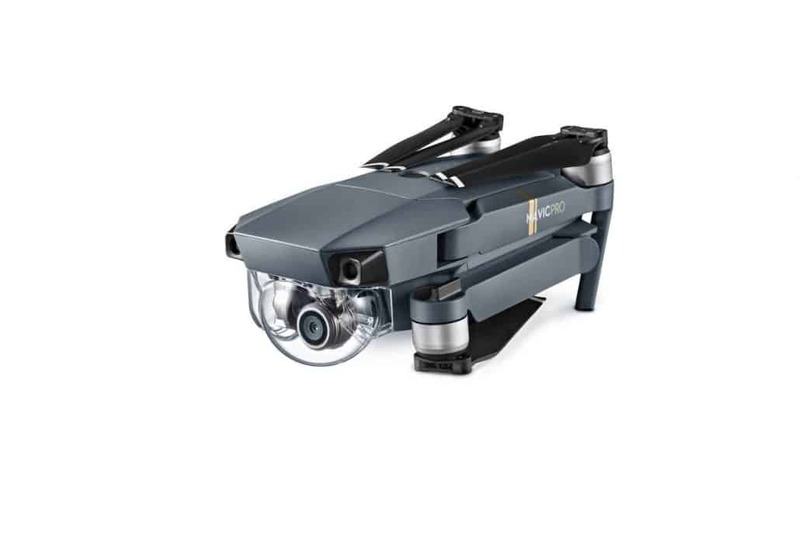 DJI Mavic Pro 2 includes a state-of-the-art Hasselblad L1D-20c camera that will give professional drone pilots an opportunity to take sharp and crisp aerial pictures. It’s added with low-light shooting ranges and modes to guarantee maximum color accuracy. More on color accuracy, the camera uses the Hasselblad Natural Color solution technology that maximizes on image coloring accuracy and efficiency. All these features enable you to shoot ready and still pictures with great tonal rendering qualities. Want To Go Father? Easy, Get Range Extenders! On that note, let’s look at the top 5 long-range drones! The DJI Mavic Pro is sleek and fast. It can fold down as small as a bottle of water, making it small enough to bring with you everywhere. When it comes to features, this drone takes the cake! 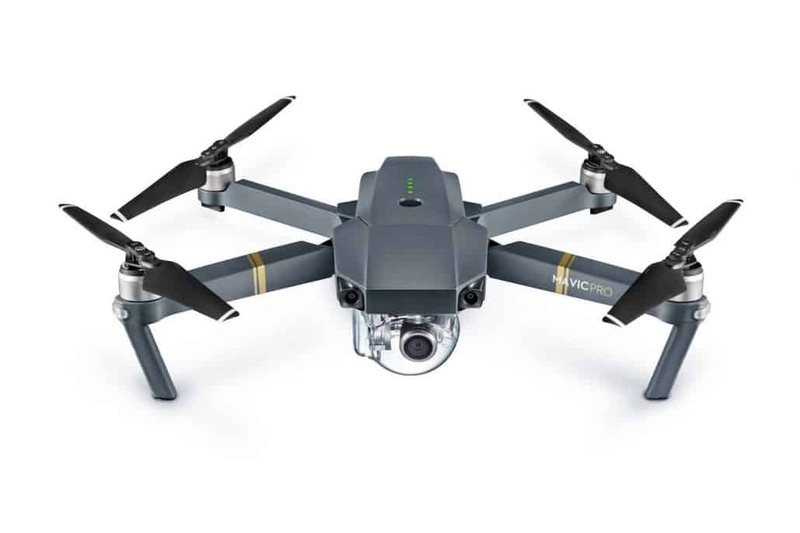 The Mavic Pro gives you a high degree of complexity that makes it one of DJI’s most sophisticated flying cameras ever. 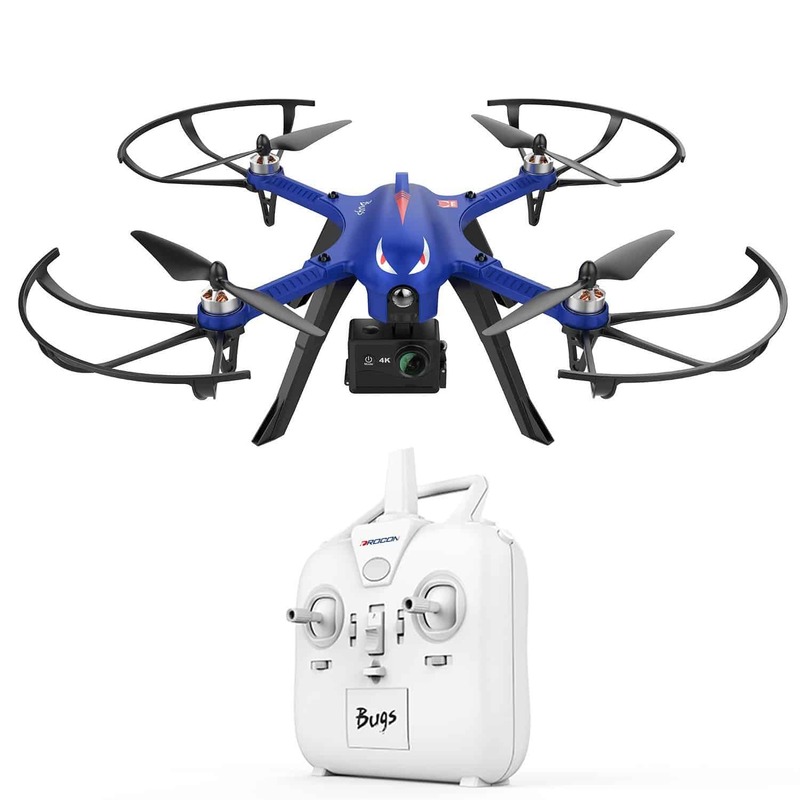 Small, yet powerful, if this drone is in your budget, it can take you to new heights (and distances! The DJI Mavic Pro has lots of features to impress! Gesture Mode allows you to get the ultimate selfie. When your drone is in the air facing you, all it takes is a gesture in order to snap a photo. Get selfies like you’ve never seen before in front of amazing back drops! The Mavic Pro also stays specifically level the entire time your flying it. It stays at the same level height automatically; you don’t have to worry about flying too low. 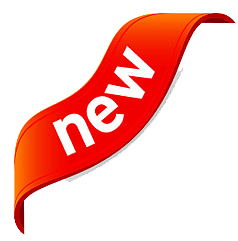 In addition, you can check out Sports Mode, add wireless DJI Goggles for a bird’s eye view, use your phone for added features, edit pics & videos with the all new DJI Go 4 Editor, and much more! 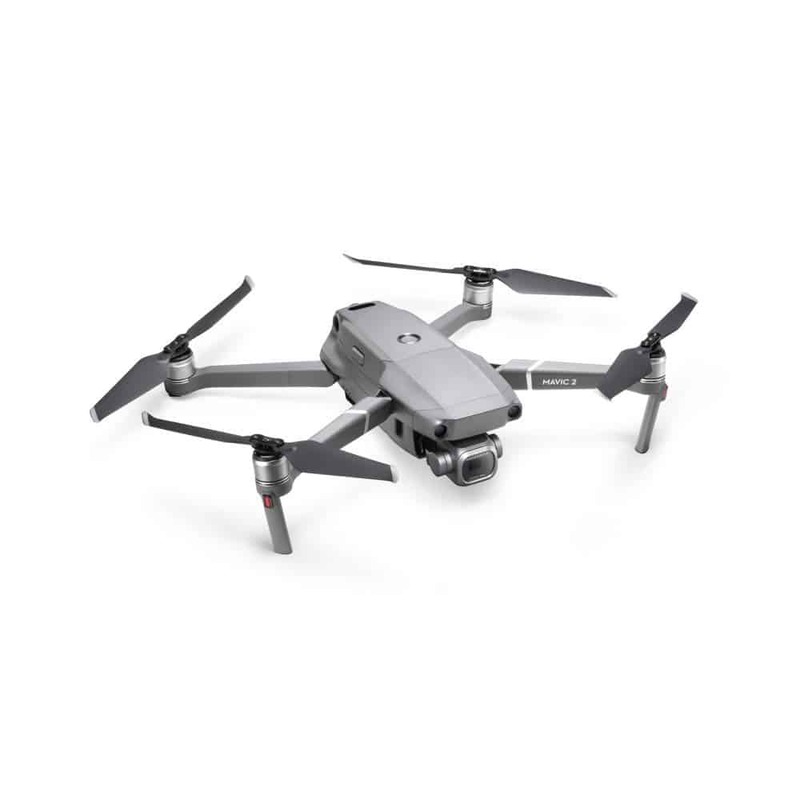 The Mavic is really one of the best drones on the market at any price, but most definitely is number one in it’s own price bracket. 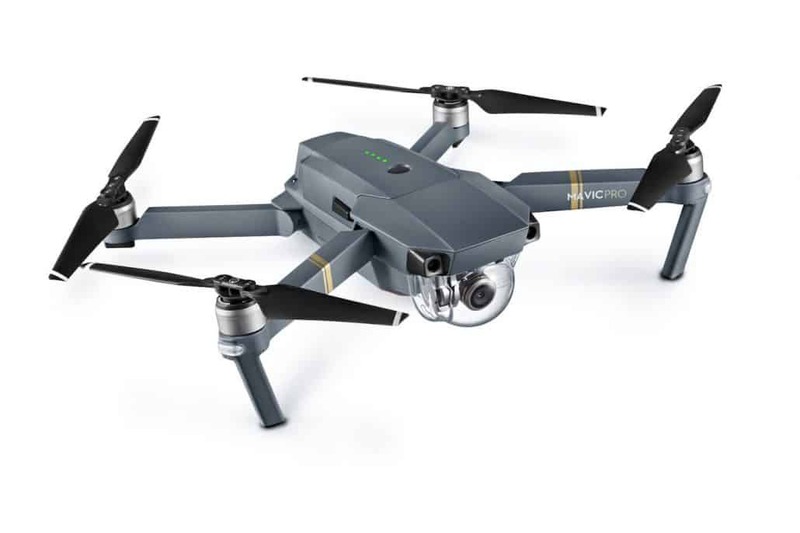 The DJI Mavic Pro is a favorite on pretty much every drone fliers list. Yes, it’s in the mid-high price range, but if you can afford it, you definitely get your money’s worth! 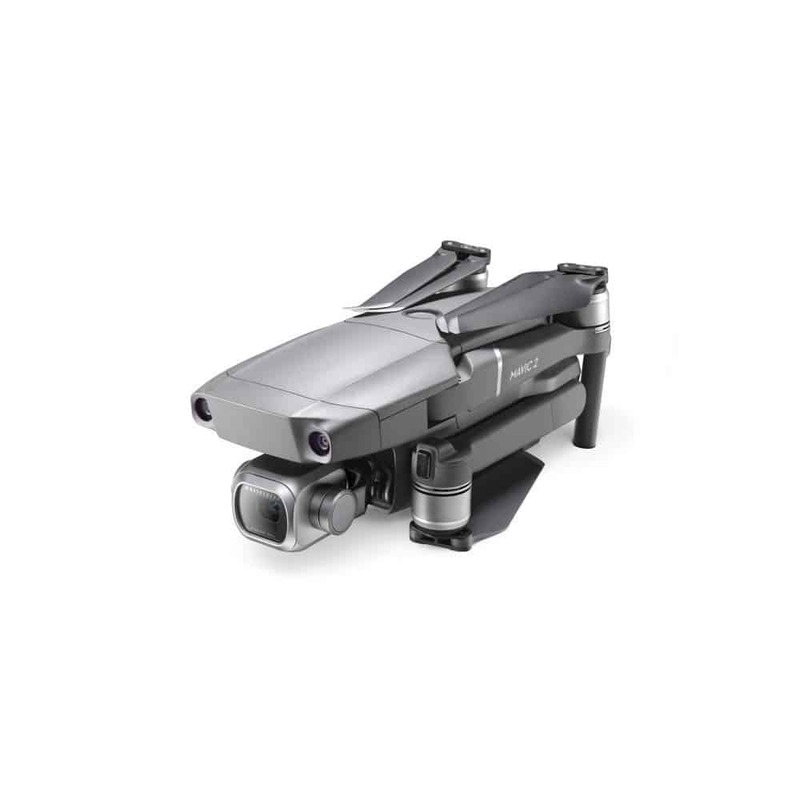 It’s one of the most portable drones on the market, but it manages to deliver better imagery, longer battery life, further range, and better autonomous intelligence than most drones twice its size. The Mavic Pro is definitely one of DJI’s best drones to date. It has 24 high performance computing cores and a new OcuSync transmission system which offers up to 4.3 miles (7km) of transmission range. That’s quite a feat in itself! Vision positioning paired with GPS and GLONASS ensures precise positioning indoor and outdoors. Obstacle Avoidance combined with sensor redundancy increases flight safety and reliability. You won’t have to worry about bumps and scrapes when your drone what’s in front of it. Using Flight Autonomy it can see obstacles as far away as 49ft (15m) in front, so that it can fly at up to 22mph (36kph) while avoiding the things it sees. Absolute Precision Flight Autonomy technology also means the Mavic Pro can hover precisely in more environments ain addition to automatically landing almost exactly where you took off. 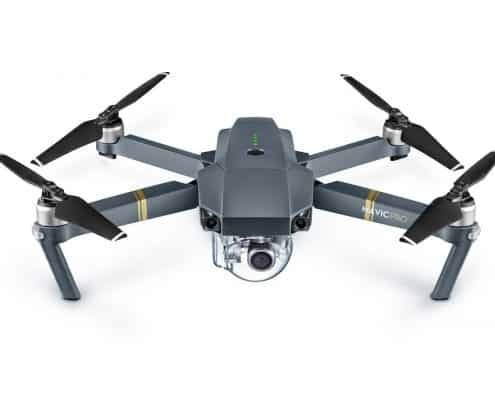 The Mavic Pro carries an integrated high-precision 3-axis mechanical camera stabilization system, giving you crystal clear photos and smooth True 4K videos with full HD 1080P/720P video streaming. With a 4K sensor, every shot you take will be up to 4K captured at 30 FPS. The Mavic Pro has an impressive flight time of 25 minutes. If you go with the Mavic Pro Fly More Combo, you’ll get a total of 3 intelligent batteries for a total of up to 75 minutes of flight time! If you want more than 10-15 minutes of flight time, you’re going to have to shell out more money; this is one of the best flight time’s you can get at this price point. With an all new transmission system, you’ll be able to go further than you ever thought possible. 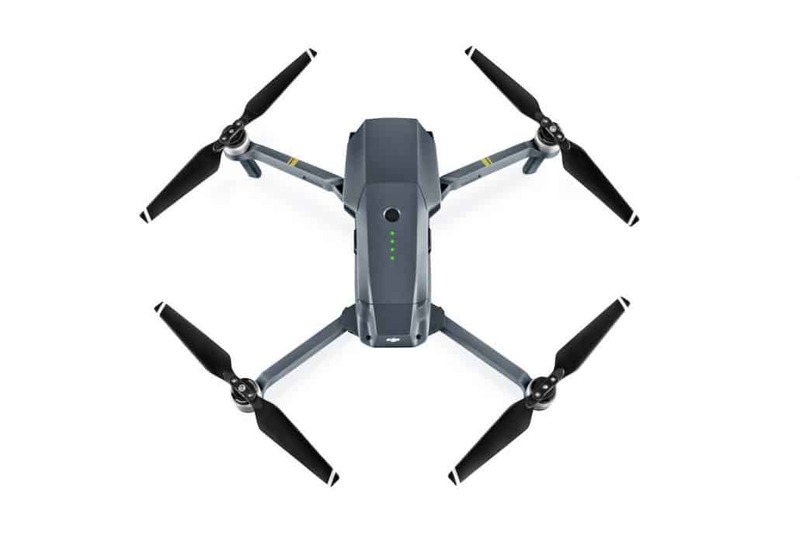 The Mavic Pro has a flight range of 4.3 miles or 7 KM. Now, that is some distance! You’ll be able to go places you never went before with other drones, especially ones in the same price range and lower. With ActiveTrack, it will seem like you have a film crew when really all you have is a drone. Just tell the drone who to track and which tracking feature and the drone does the rest. Trace follows behind, in front of, or circles around your chosen subject. Profile flies alongside your chosen subject. Spotlight keeps the camera trained on your chosen subject while you fly around. This DJI drone folds down as small as a bottle of water, making it small enough to bring with you everywhere. Normally bringing along a drone means carrying at least a backpack and most of the time a very bulky backpack at that. With this drone, you may even forget you’re carrying it. 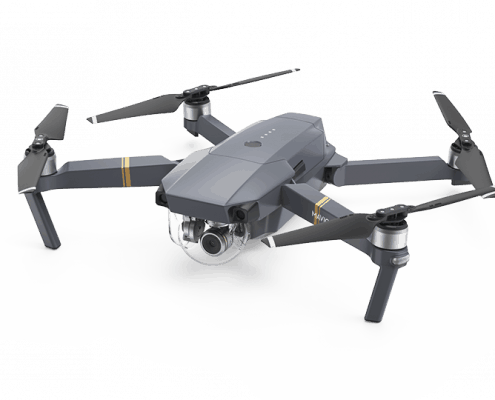 The DJI Mavic Pro has gotten great reviews as well as being many drone fliers favorite choice at its price point. 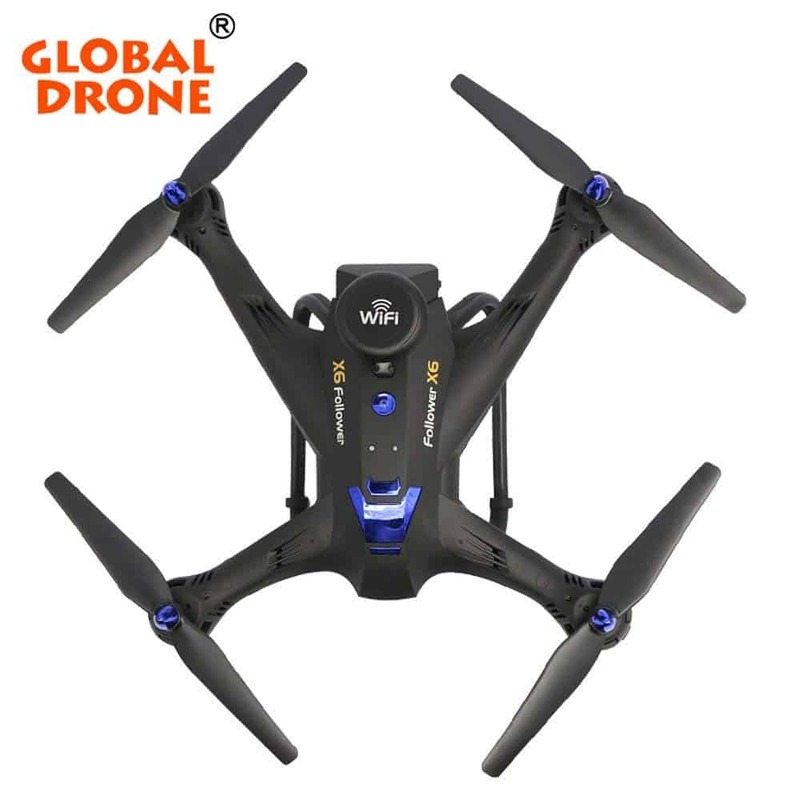 Some drone lovers even think this one is the best in higher price points as well. The bottom line is that is does get very good reviews. Amazon had a total of 663 reviews for an average 4.4 out of 5 stars, which is not bad at all. Best Buy had a whopping 1,413 purchaser reviews for a 4.8 star rating! That’s massive! In addition, bhphotovideo.com had 127 votes giving it a 4.5 out of 5 stars rating and Adorama gave it a 4.6. 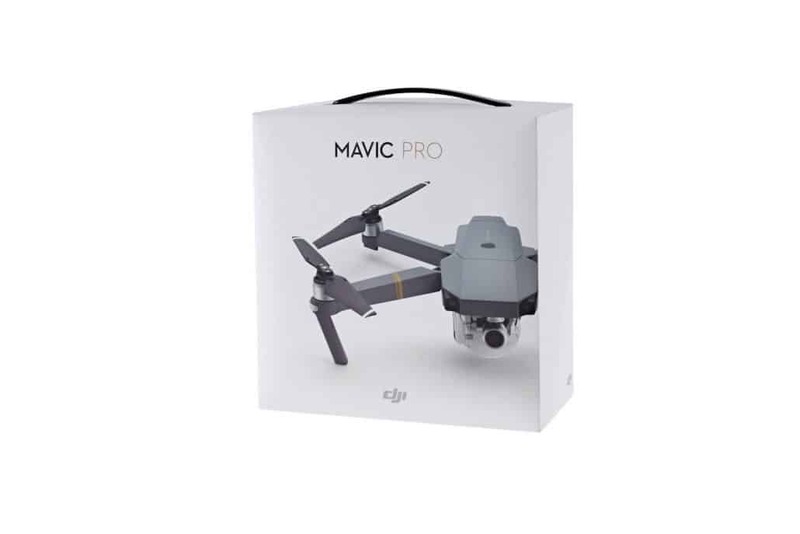 The main thing that is so important is how many people have actually purchased the DJI Mavic Pro. That’s over 2000 on just these two sites, more than any other drones in its price range. 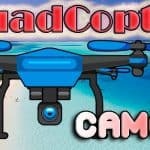 This is a great drone with great features. You can just fold it up and take it with you without carrying a lot of extra baggage. You can take awesome pics and videos with it. 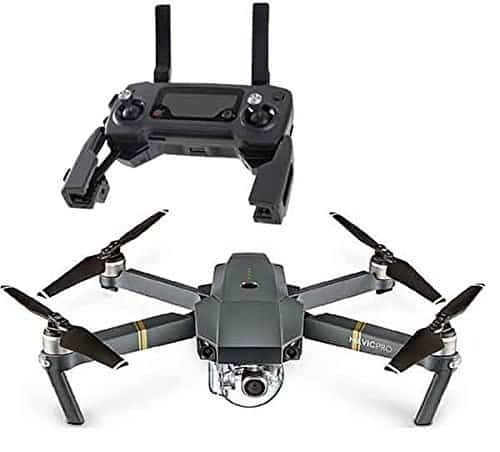 This drone is on the higher end budget, but still somewhat moderately priced for its technology, ability, and features, but if you can afford it, you definitely will be happy! 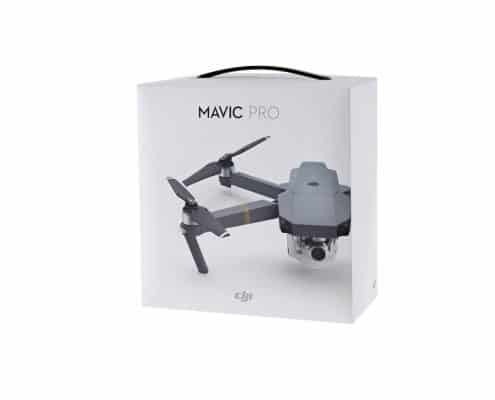 So, are you ready to purchase a DJI Mavic Pro? 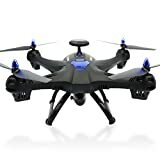 It’s definitely one of the all time best drones and one that is favorited by many drone enthusiasts. It is in a higher price range than the others, but you get what you pay for. It literally goes above and beyond other drones! Autonomous flight modes are available via the Starlink app. Secure Fly magnetic interference protection helps your drone come back home safely. 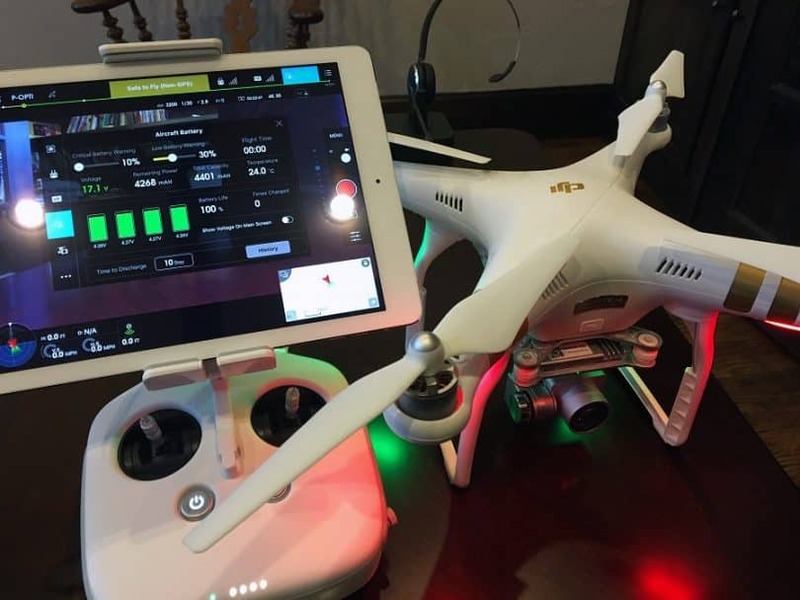 The X-Star can be flown with or without the help of the Starlink app. 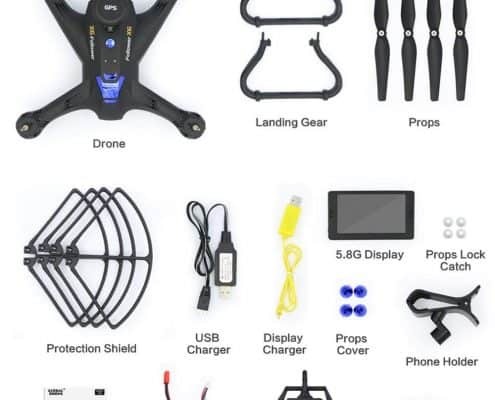 Smart Pre-Fight Check helps ensure everything is in optimal working order before you get your drone in the air. Beginner Mode is awesome for those just learning to fly; with its geo-fence, you’ll only be allowed so much speed and flight range. 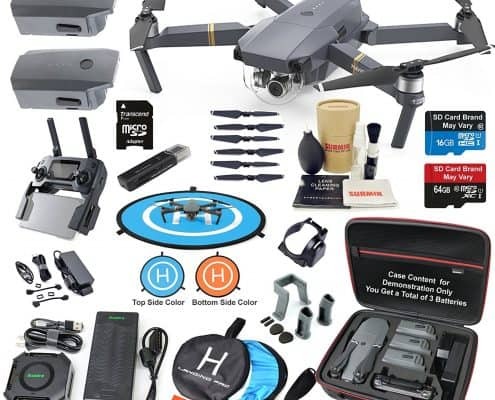 One of this drone’s extras that is absolutely awesome is the premium hard case that it comes in. This case is perfect for transporting your drone in between flights. One of our favorite things about it is the fact that it’s orange! Not only does it look cool, but it aids in visibility. If orange isn’t your color, it also comes in white. The Autel Robotics X-Star Premium Drone is really a great drone for its price. Some will go as far as to say it’s one of the best drones on the market at any price. You really get a lot with this package and with its Beginner Mode, you can feel safer about getting it for yourself or another with little to no experience. 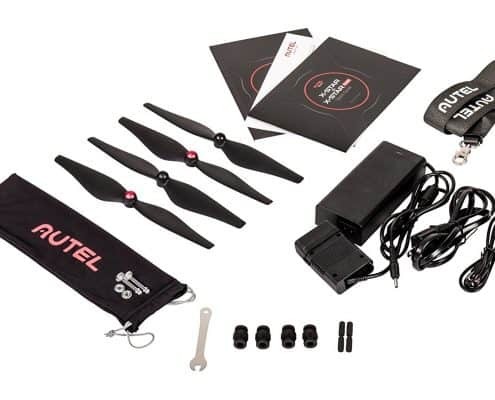 If it seems that Autel X-Star Premium Drone is loaded with features and accessories, it is. 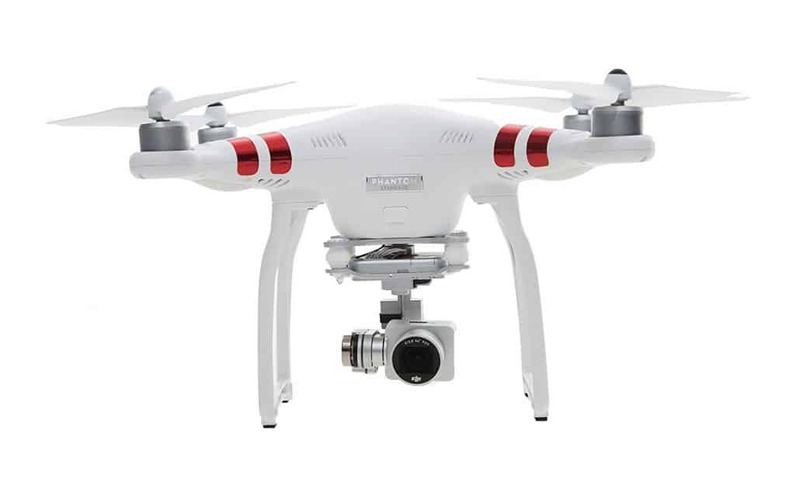 Many compare it to DJI’s Phantom 3 Advanced, but this drone has a style all its own. The X-Star is easy to fly, captures awesome pics, and is simply one of the best in its price range. 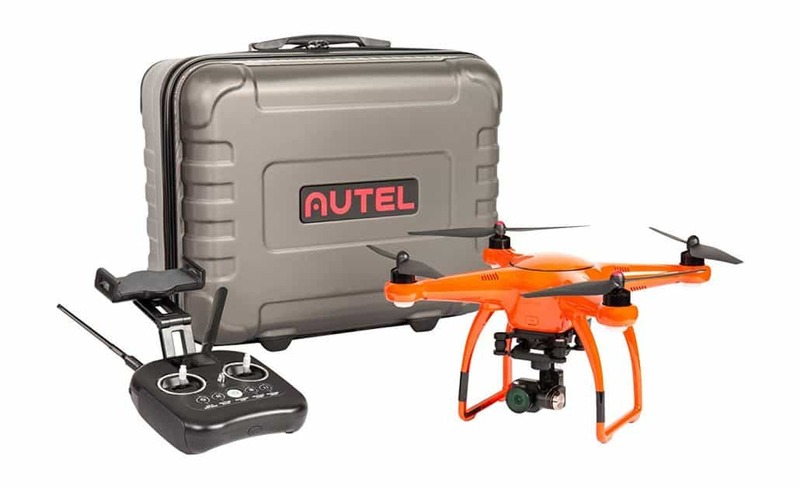 This drone from Autel has a Beginner Mode which provides a geo-fence, limiting range and speed, and making it easier for beginners to learn how to fly it without serious accidents. Much like other drones, it has Follow Me, Orbit, and Waypoints for easier filmography and photography. If the drone is pre-set to fly a specific mode, the operator only has to worry about the images. The X-Star is a bit zippy; making it a little harder to control, but at the same time, giving the operator more feeling of controlling the flight. This is why we recommend definitely using the Beginner Mode if you are not familiar with flying drones. One of the best things about this drone is that the gimbal is removable. What does this mean for you? Well, if you want to upgrade the camera, just pluck it off and attach a new one. 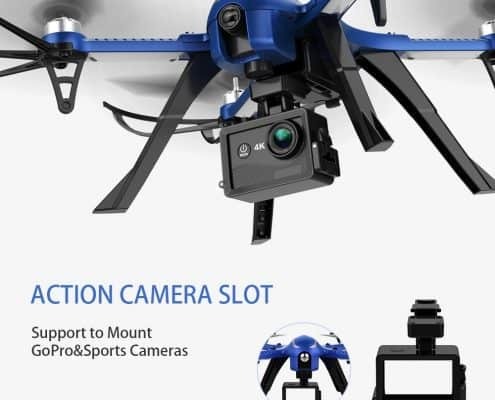 Basically, it means you can replace either the camera or the drone without having to shell out money for the whole setup again. The RC transmitter is a lot like DJIs in that you can download an app, in this case the Starlink app, giving you options such as FPV. Additionally, the X-Star has specific buttons for take off and return home, making it easier to fly. Critical information can be seen on a LCD screen right on the transmitter. 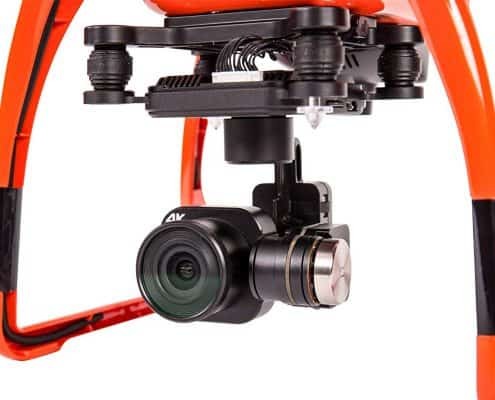 The 4K Ultra video camera gives you a 108° FOV at 30 FPS and 12 MP images and is mounted on a 3-axis gimbal that prevents unwanted camera movements in order to capture stable, smooth video footage. 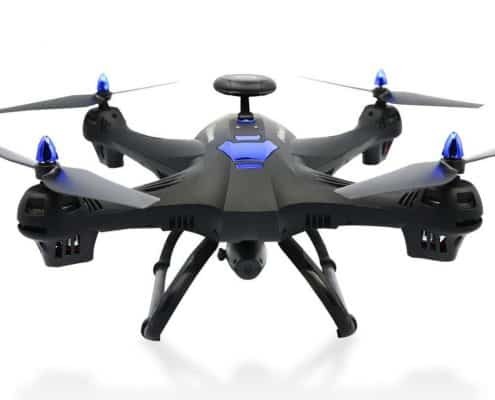 The Autel X-Star Premium Drone has a flight time of up to 25 minutes. With its fast charger, you can be back to flying in just an hour and a half. Some drone pilots prefer to purchase multiple batteries for extra flying time at one time. In addition, the X-Star provides HD Live View up to 1.2 miles away. That’s quite a distance! With its one touch buttons, you can tap one button for take off and one for return to home, making flying the drone so much easier. The Starpoint Positioning System measures the aircraft’s altitude and optically tracks its position. With dual GPS and GLONASS, navigation is ensured with solid positioning even in low signal environments. 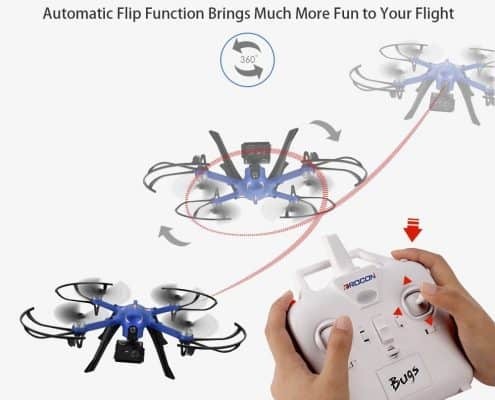 Intuitive remote controller with LCD display offers flight information and one-touch action buttons for starting the motors, taking off, hovering, returning home, and landing. StarLink mobile app allows you to gain additional functionality as well as viewing in live 720p HD imagery from the camera. 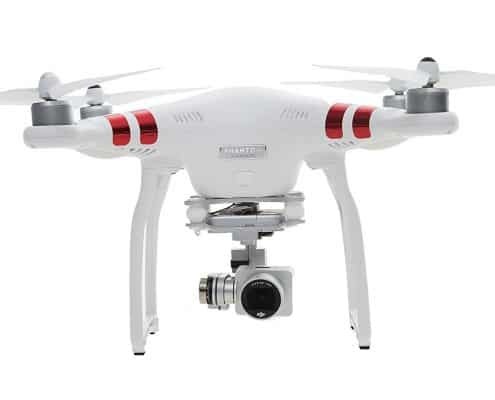 DJI is a company known for drones, but most carry modest to high prices. 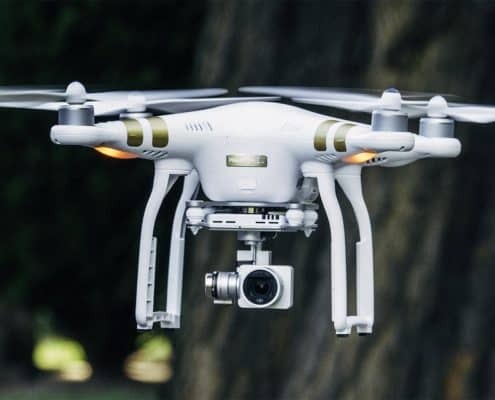 The DJI Phantom 3 comes with a bit of lowered price, making it more affordable for those looking for a drone in the mid-budget range. View a live image streamed via the drone from up to a half mile away on the free DJI Go app using your mobile phone or tablet. 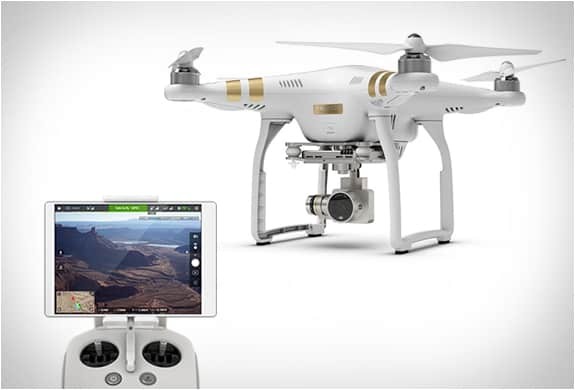 the Phantom 3 Standard is the most accessible intelligent flying camera ever built. Not only is it easy to fly, but it’s also engineered to let everyone take to the sky no matter their level of experience! 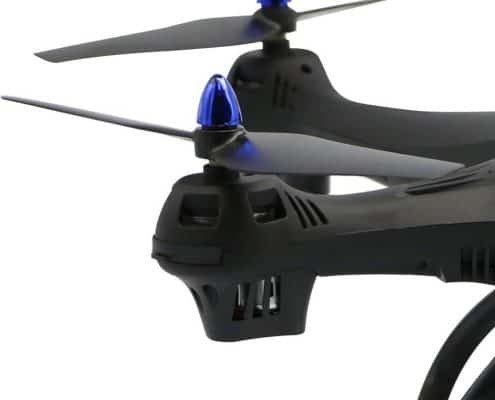 It’s the best drone you can get in its price range. With the built-in clamp that holds your mobile device, you can use the DJI Go app, allowing you to see a live view, control the shutter, change settings, and access a bunch of other features. 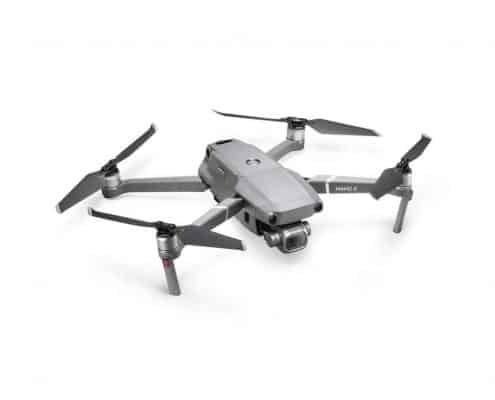 These features include an automatic video editor, user-friendly interface for camera and flight settings control, live map and radar, full flight telemetry, and flight logs to keep track of your favorite moments. The Automatic Flight Assistant allows the drone to hover in place after take off, waiting for your next command. When movement stops, it will again begin to hover, waiting for its next instruction. By using your mobile device, the Standard creates its own WiFi network, which allows streaming a real time view. 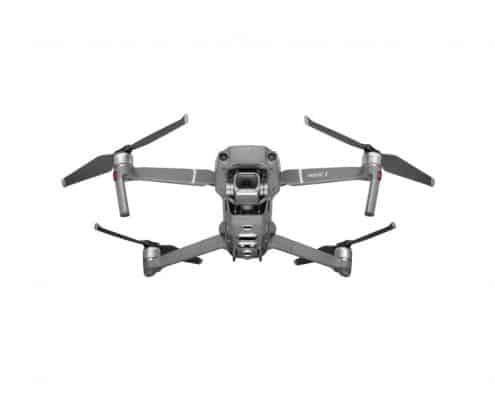 Although DJI removed a few of their more impressive features from this model, such as 4K recording and collision avoidance system, they’ve still packed so much into the Standard, that this is the drone to beat in its price range; it’s simply the best for its price. 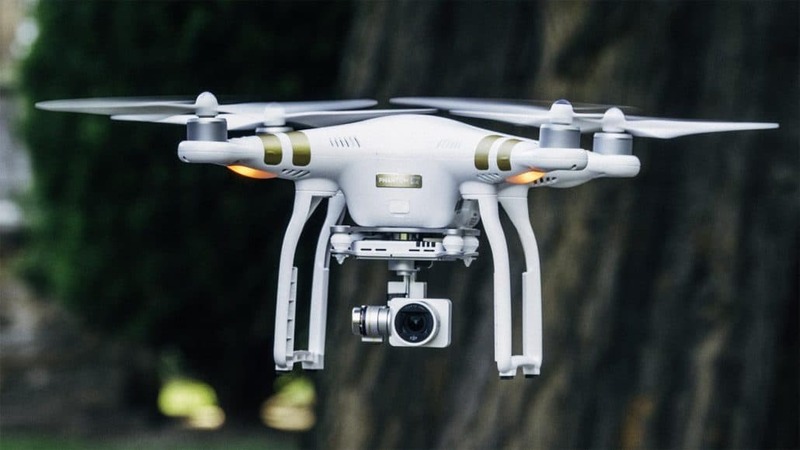 DJI is a company known for its quality drones, but before the Phantom 3 Standard, most were out of reach due to their higher price point. This drone is in the mid-budget and still, may be out of reach for some, but the lower price has made DJI drones more affordable for a lot more enthusiasts. It’s the best drone you can get for its price. 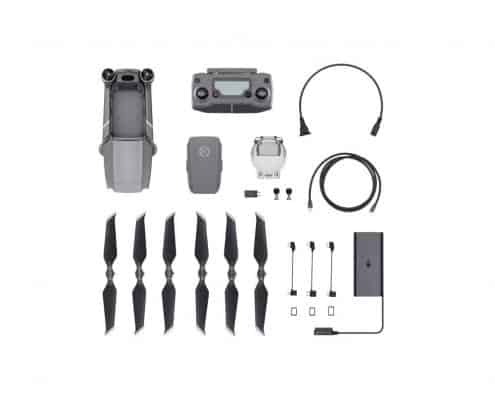 If you haven’t flown before or are new to DJI products, taking precautions before flying has never been easier. The DJI Go app includes flight simulator mode. It’s worth it to take a little bit of time to fly virtually before flying your drone in the real world. With the combination of a conventional remote and a touch-screen control, the Standard drone is easy to fly. You can let the drone do all the work with its powerful, responsive motors, or you can control it yourself. With its intuitive control system, it’s quite to master in a short amount of time. The Standard supports automated takeoff and landing. This is not a stunt quadcopter, but instead, is more focused on keeping the camera steady for filming and photography. DJI’s advanced gimbal stabilization technology gives you movie-quality results no matter how you fly. Even when the drone is dipping, turning, and tilting, the footage remains stable. Take stunning 2.7K HD videos and 12 Megapixel photos with the integrated aerial camera and enjoy live video feed which gives you a 720p HD real-time view of what your camera sees right on your mobile device. View a live image streamed from the drone up to a half mile away on the free DJI Go app using your mobile phone or tablet. GPS assisted flight features let you concentrate on getting great images while the drone helps you fly safely. You can achieve advanced camera perspectives with the Point of Interest, Follow Me, and Waypoints modes. In addition, Intelligent Orientation Control (IOC) helps you customize how you control your drone, allowing you to choose the easiest and most intuitive mode for you. The Phantom 3 Standard comes with a single, large 4480 mAh battery. The battery itself is enclosed in a protective plastic housing which helps to prevent damage. In addition, it also contains intelligent sensors which not only extend the battery’s life, but also make it worry-free as well. The DJI Standard 3 has an Intelligent Flight Battery which will automatically remind you when power is running low. It’s also powerful, allowing up to 25 minutes of flight time on a single charge. 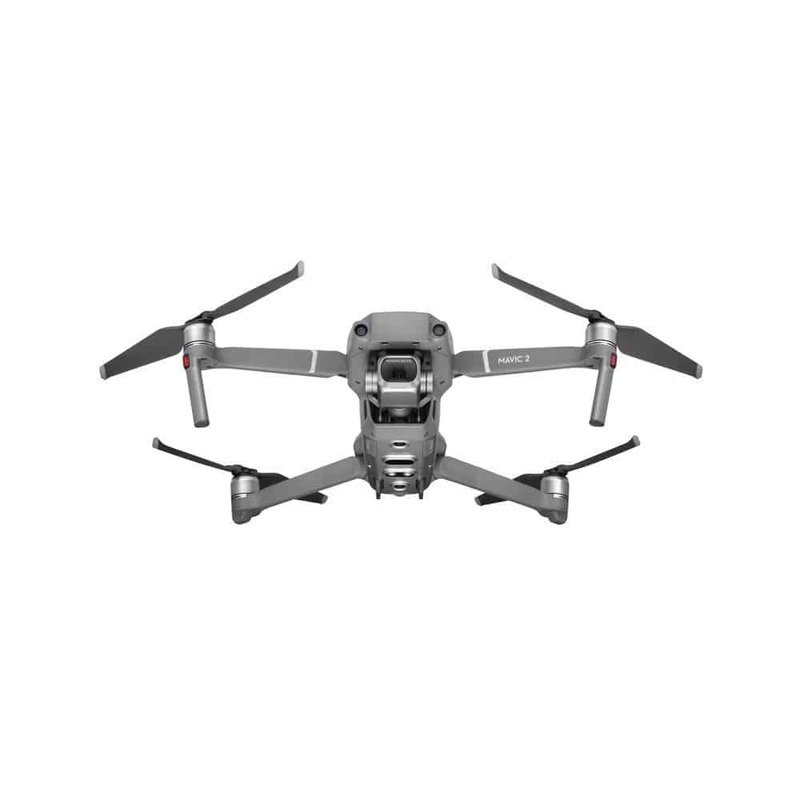 This is an awesome amount of flight time for a drone in this price range. 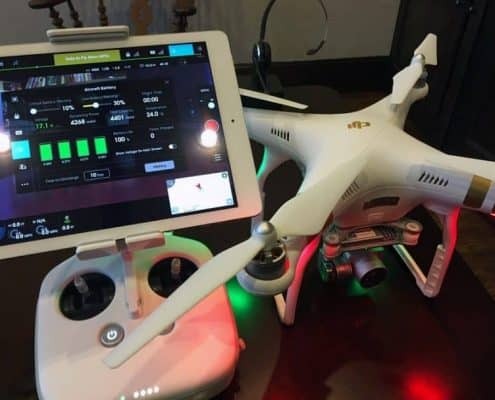 The battery charges relatively quick, about 50 minutes, using the included charger, much less time than cheaper drones which may take 4-6 hours to fully charge. The Standard has a flight range of just over a half mile or 1 kilometer. With the Automatic Flight Assistant, you never have to worry about your drone coming back to you; it will return at the simple touch of a button. Built-in GPS records your drone’s take off point and records it for its return. When you give the command, or if it loses signal, it will return to you. The patented battery constantly sends you information including how long your drone can continue to fly based on how far and what altitude, then alerts you when time is about up. This info is live-streamed via the DJI Go app. Recharging is easy and relatively quick; LED indicators let you know the current status and power level. 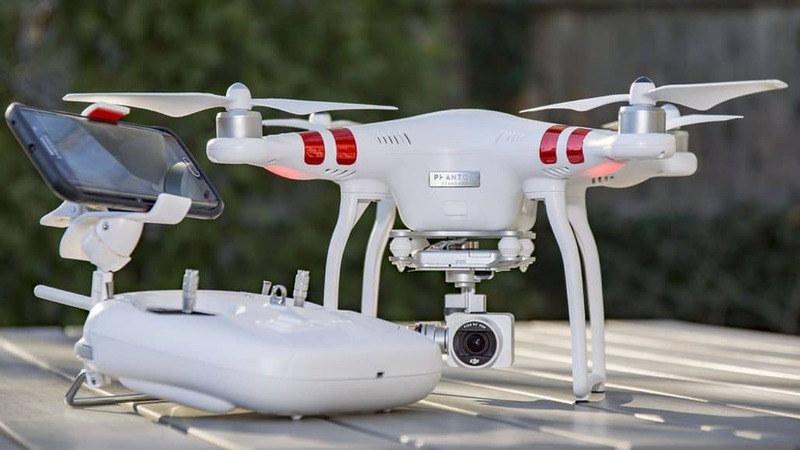 g dual satellites and with the help of its camera system; with one key you can make the drone do a 360 around your location while using auto adjust for taking clear pictures and film. 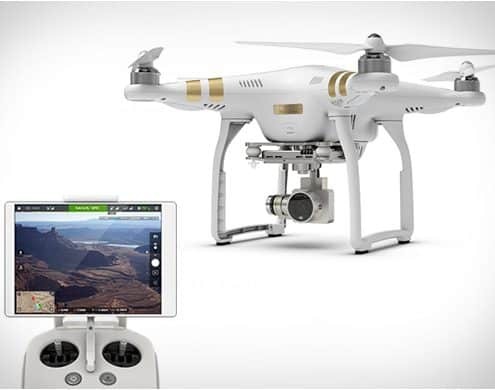 The DJI Phantom 3 Standard has an impressive 4.3 out of 5 star rating from a total of 1,093 reviews on Amazon alone. With that many votes, it’s easy to see that this drone is making people happy! 79% of those who voted gave the Standard 4 stars or higher; only 16% gave it less than 2 stars. Out of those who gave it 5 stars, they all gave it raving reviews. 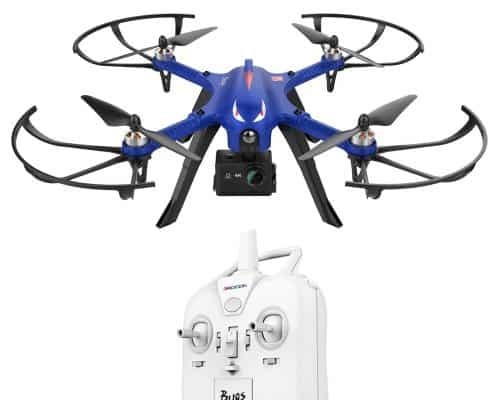 Looking elsewhere, with a total of 87 votes, Walmart gives this drone a 4.5 out of 5 stars. Target gives it a 4.7 from a total of 51 votes. 133 total votes brings bhphotovideo.com to a 4.5 star rating and 18 more gave it a 4.8 on gearbest.com. Adorama had 50 votes for a 4.6 out of 5 stars and Argos had 98 votes for a 4.8 star rating. 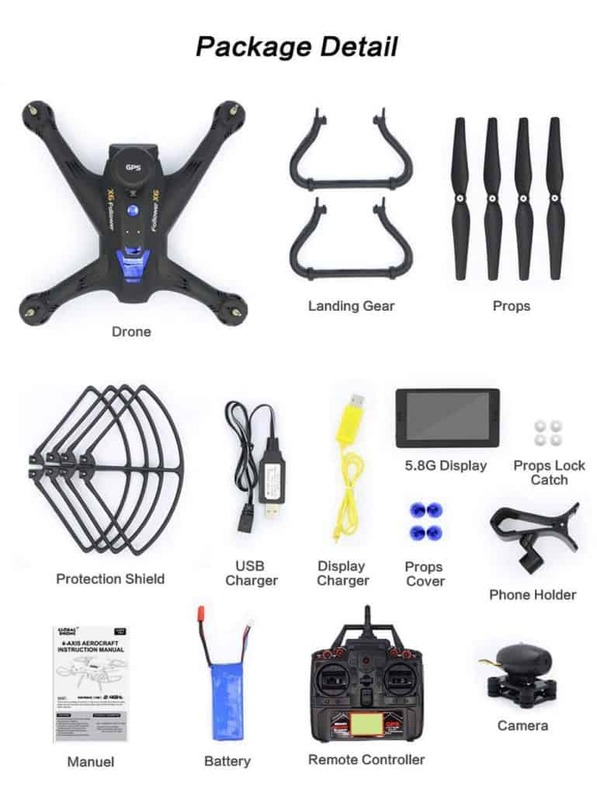 The Global Drone X183 is actually new on the market, but it has some amazing features for it’s price. 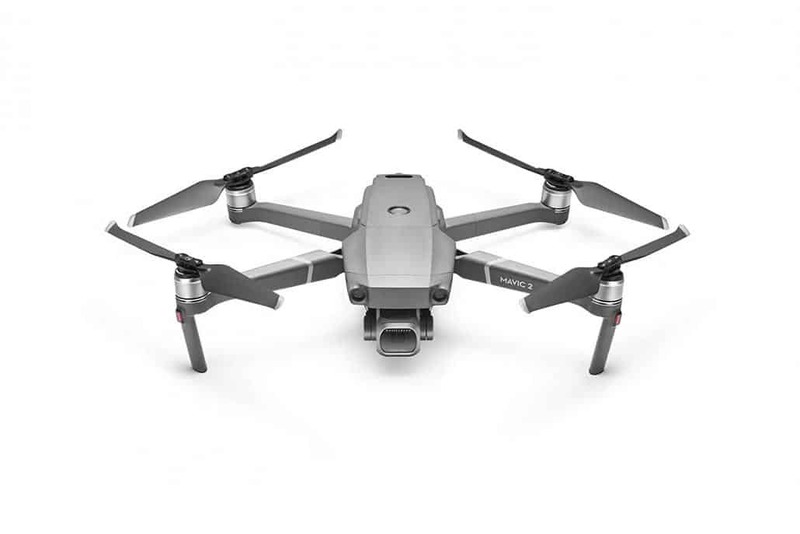 If you’re looking for a drone that has longer flight and range while able to film and take pictures in 1080P HD, this may be the drone you are looking for. This drone has GPS Follow Me technology. 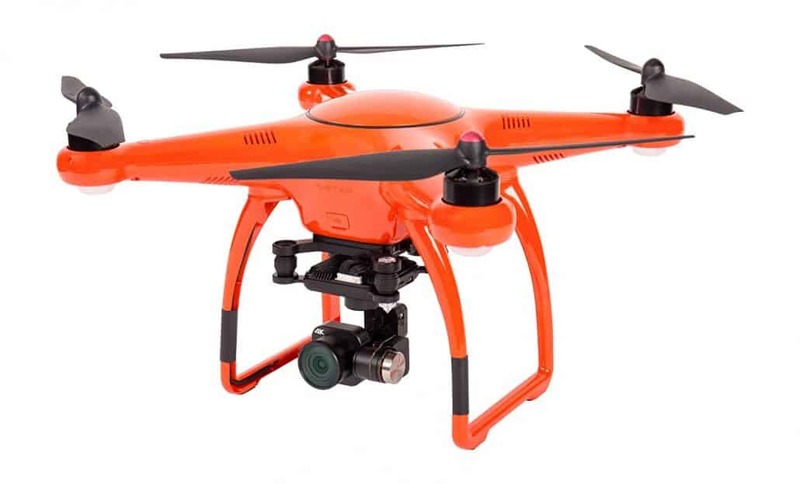 The brushless quadcopter gives you extra long flight time while maintaining strong wind resistance. 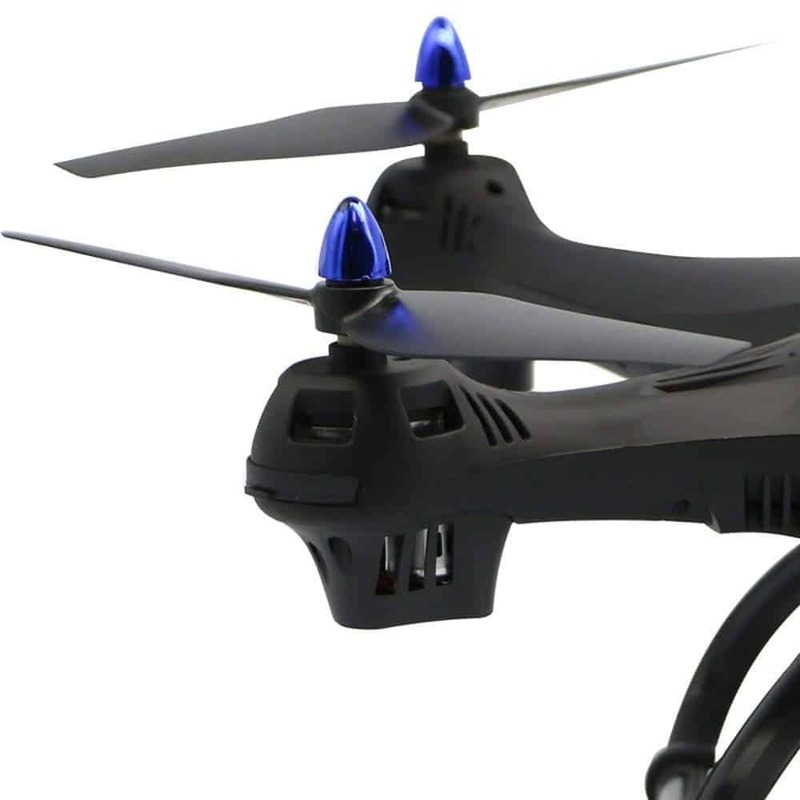 Get your money’s worth with this sleek-looking drone. Packed with features for the price! The Global Drone is really loaded with additional features. With its smart automatic return function you’ll get one-key return, low-voltage return, and no-signal return which will keep your drone flying back to you safety. With headless mode, there’s no need to adjust the drone before flying/take off. Another cool feature is the super bright LED lights aid in orientation and work amazingly for night flying. The drone transmits data in real time. 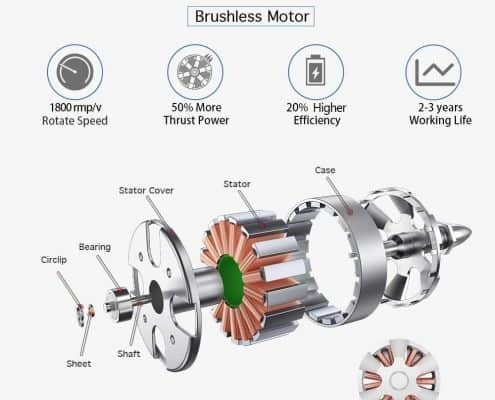 The Global Drone has a brushless motor which provides extra power along with longer flight time and range. The brushless motor helps keep it from overheating, providing the operator with additional flight time and range. In addition, the 2000 mAh battery helps to keep the quadcopter in the air for longer times and further flight ranges. Fully charges in less than four hours, so you’re not sitting out of the fun for long. 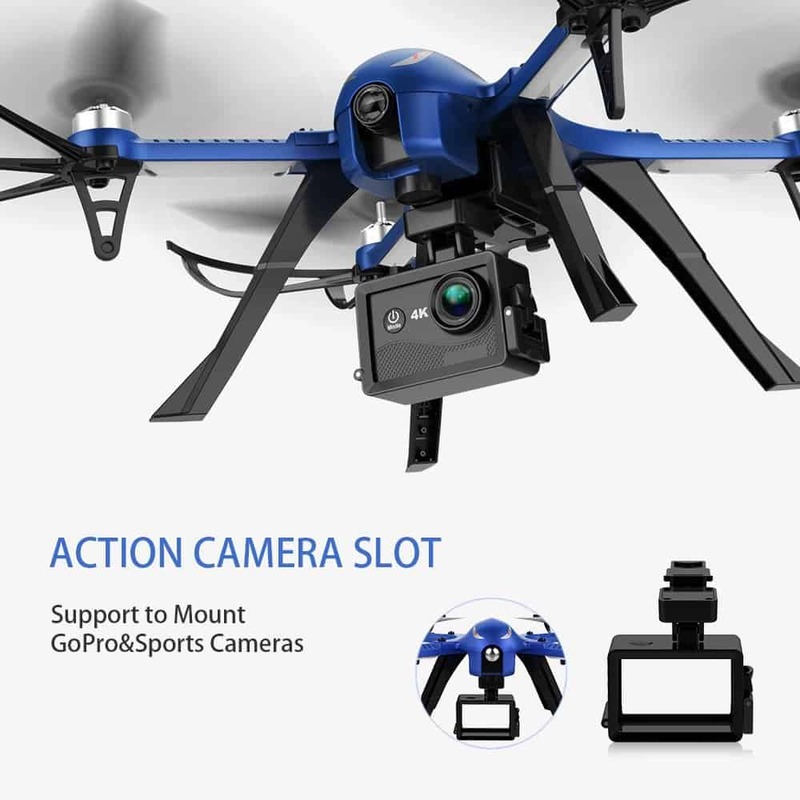 6-axis Gyro provides a more sensitivity, more stable, and flexible flight;, built-in GPS module with Follow Me function, automatic 360° hover, and other functions make the Global Drone easy to maneuver, immediately responsive, and great for the best filmography and photography. 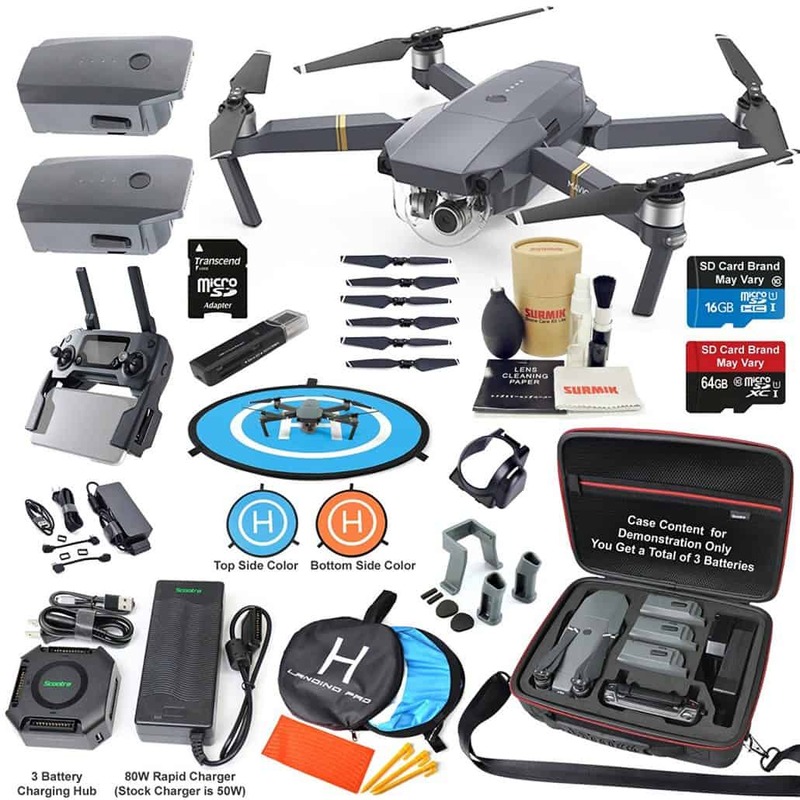 The Global Drone has a 2.0 MP 1080P HD camera for high resolution pictures with GPS fixed height & position in addition to strong wind resistance flight which will definitely provide stable photography, selfie shots, and live video. 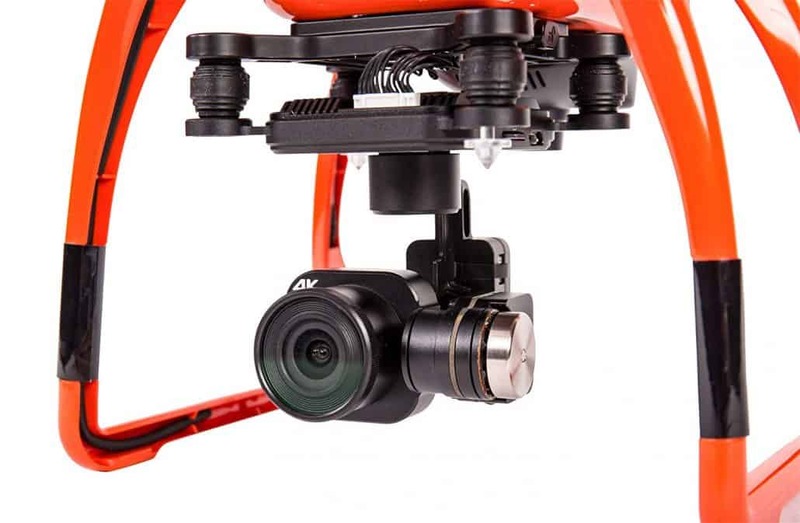 5.8G FPV Real-Time transmission bring a new perspective to your photos and videos from the air. 5 inch LCD transmitter screen for real time video watching and photo capturing or just for enjoying the total flight experience. See from a view you’ve never witnessed before! The Global Drone is an affordable drone for most; it’s definitely in the low-end of the budget, but it’s performance takes this drone above and beyond others in its price range. This drone can maintain flight for up to 14 minutes. That’s plenty of time to explore a parcel of land previous not explored or to have your drone follow you up a trail to a waterfall, taking photos as you go. 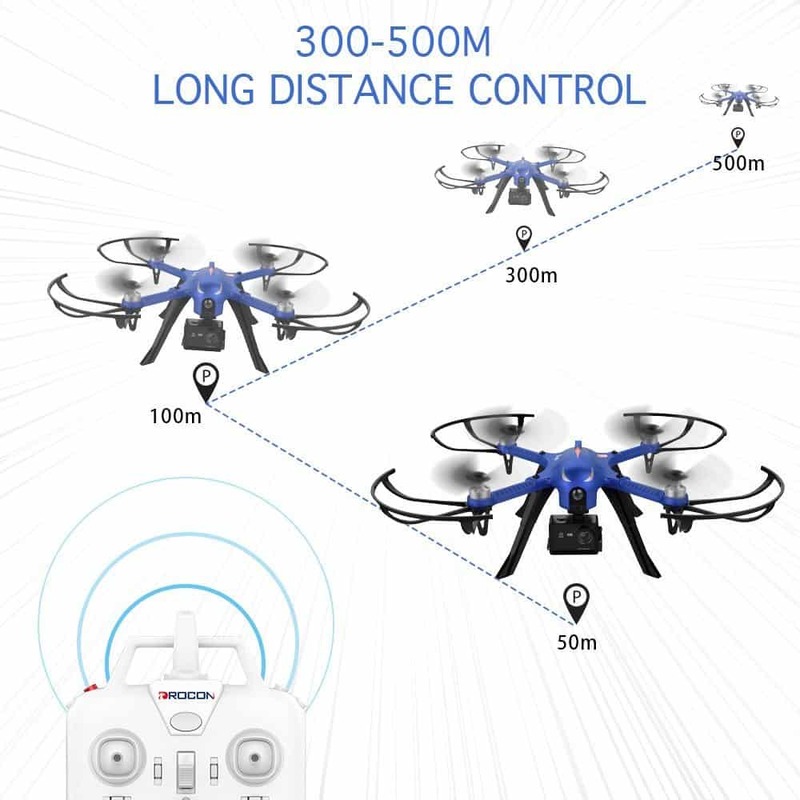 Another outstanding quality for a drone with this price point is its distance. The Global Drone can get up to 400 meters away from the operator while still maintaining complete control. That’s definitely a good, solid flight range. 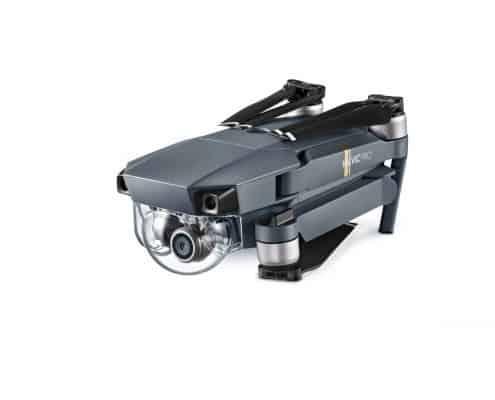 This drone also has several other flight functions which make it easier to control and maneuver. Powerful GPS can capture your position precisely anytime with Follow Me function. 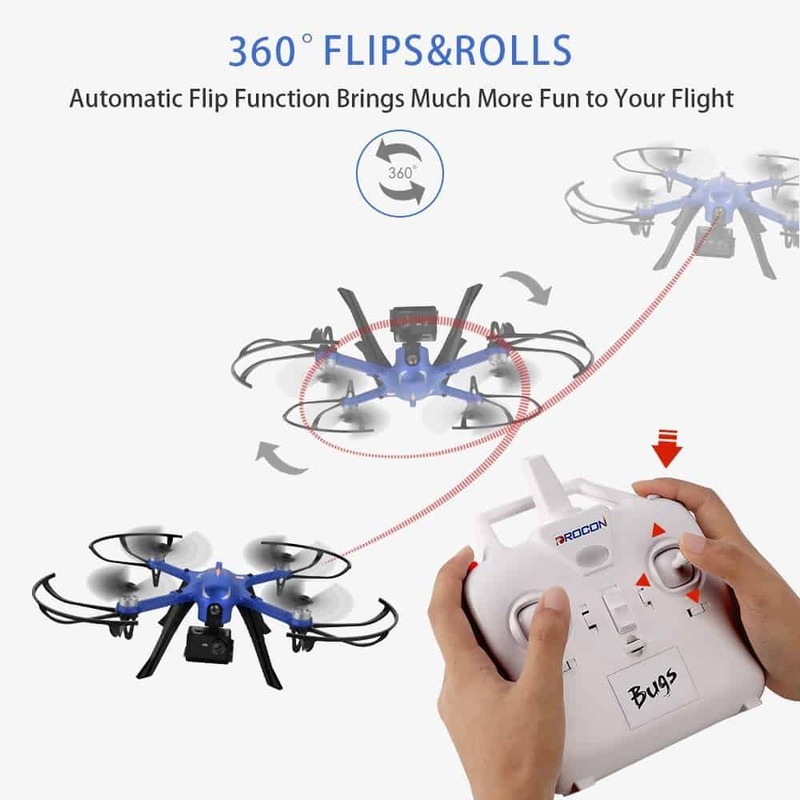 Automatic 360 hover is obtained by locating dual satellites and with the help of its camera system; with one key you can make the drone do a 360 around your location while using auto adjust for taking clear pictures and film. This drone offers you a one button take-off and landing, which is an ideal option for any pilot who’s just starting out. 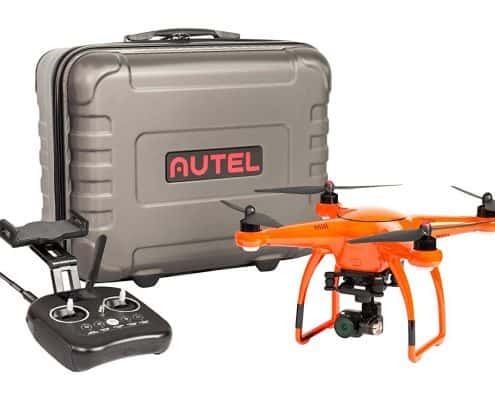 Plus Altair Aerial AA108 Drone comes with an additional battery so that you can get double the flight time. The device comes with an instruction book that guides you on how to deal with everything including issues and challenges. The book is well indexed too so that you can easily find a particular issue at a specific place. 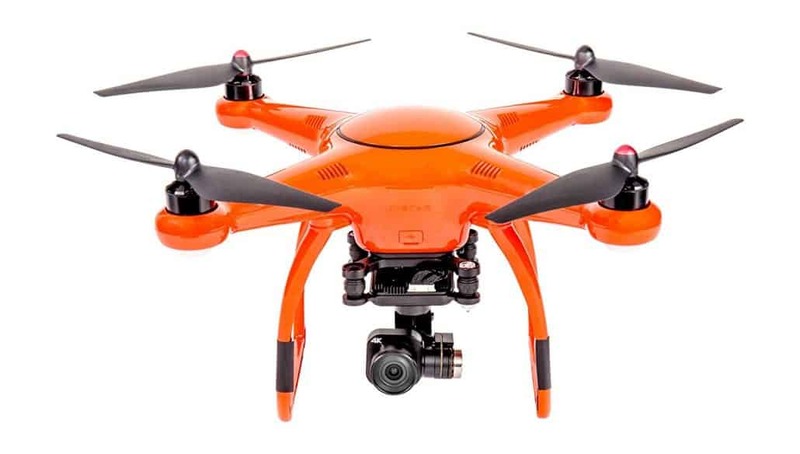 A 720p HD Camera is also equipped on this baby, enjoy taking great shots with this cheap drone. The AA108 is designed to work both outdoors and indoors, in the indoors you could just drive it straight into the wall and this thing would be fine! You can enjoy manual take-off and landing using a joystick and crucially the flying in First-person novelty using the app. 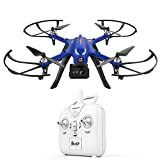 If you are looking for an affordable drone that still has awesome features, the Drocon Blue Bugs 3 may just be the drone for you. Thanks to powerful, ultra-efficient brushless motors, this drone has longer flight time, longer range, and more power. Although it doesn’t come with a camera, it’s GoPro ready (or any other action camera) and it more than makes up for it in other features. For the price, you can’t get a better a deal. Beginners will find Blue Bugs 3 easy to manage, quickly improving their skills. 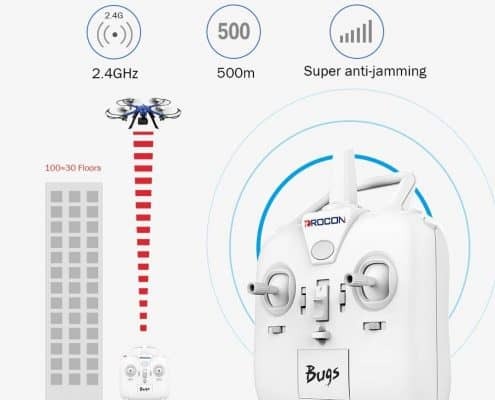 In addition, the responsive controls and large flight distance make it a difficult drone to lose, which is also good for those with less drone flight experience. Experts can push their talents, and the drone, to the limit with full throttle flips, dives, and other jaw dropping maneuvers. This drone can even be customized by technical experts and veterans. The Blue Bugs 3 drone is ready to go right out of the box. There’s no technical or tedious setup required. Just turn on the controller, plug-in the battery, and take off! The Drocon Blue Bugs 3 has powerful advanced brushless motors. What does this mean for the drone? Longer flight time due to not overheating and melting like plastic. In addition, they are far safer since they don’t fray and spark like brush motors. The 6-axis Gyro Tech enables the Blue Bugs 3 to respond to your every touch and even allows it to do 360° flips and rolls with ease. It’s always fun showing off and this drone is very good at it! Also, the Blue Bugs 3 flies stable and smooth, which makes it perfect for beginners. The high capacity battery was designed specifically for the Blue Bugs 3. The 7.4V, 1800 mAh high capacity battery offers sufficient power to enable longer working time. 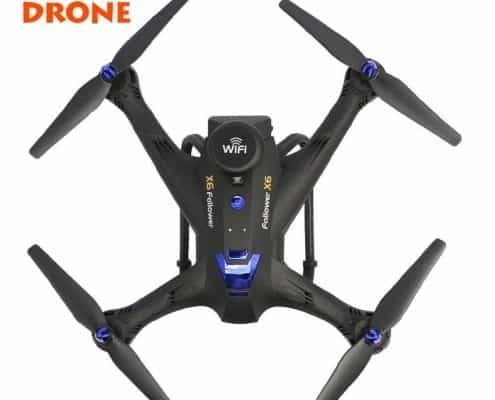 Additionally, this Drocon drone offers 2.4G frequency technology, which makes the drone more responsive and able to operate without issues at much longer ranges. This drone may be on the low-budget end of the spectrum, but it doesn’t leave you wanting in the flight department. 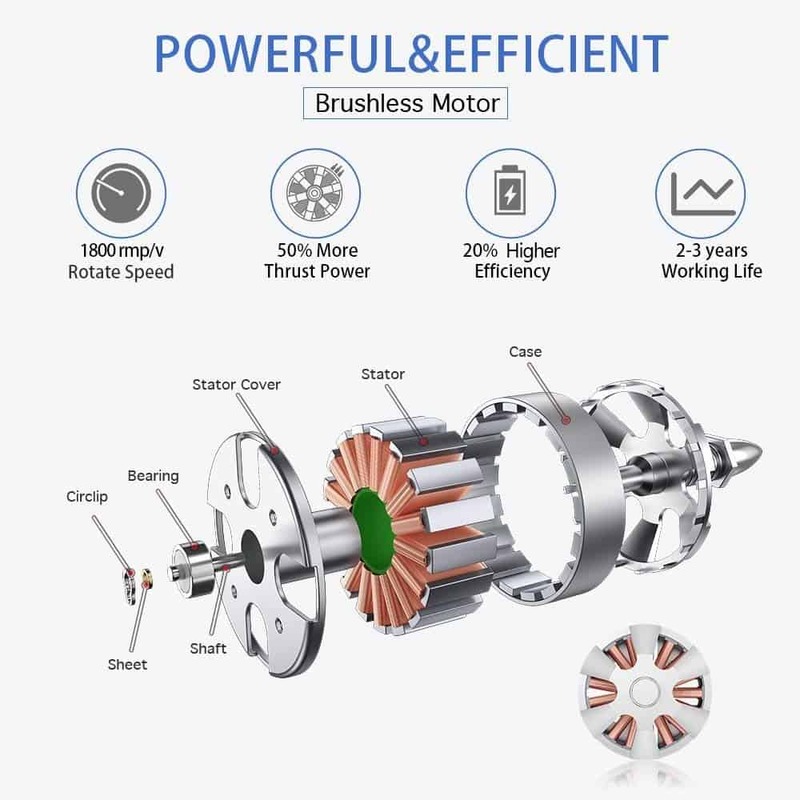 Thanks to highly efficient brushless motors, Blue Bugs 3 lasts for 15 minutes at mid-to-high throttle and up to 20 minutes with conservative use. That’s plenty of travel time for filming, taking pictures, or just fooling around. 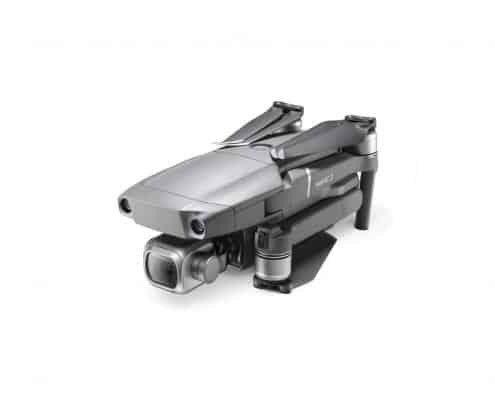 As for distance, this Drocon drone can travel up to 300-500 away from its controller. Even when your Blue Bugs 3 has become a tiny speck in the distance, you still retain 100% control. You’ll be able to capture incredible shots of breathtaking vistas: the drone can fly to 1,000 feet and beyond in seconds. With its two-communication, this drone responds immediately. 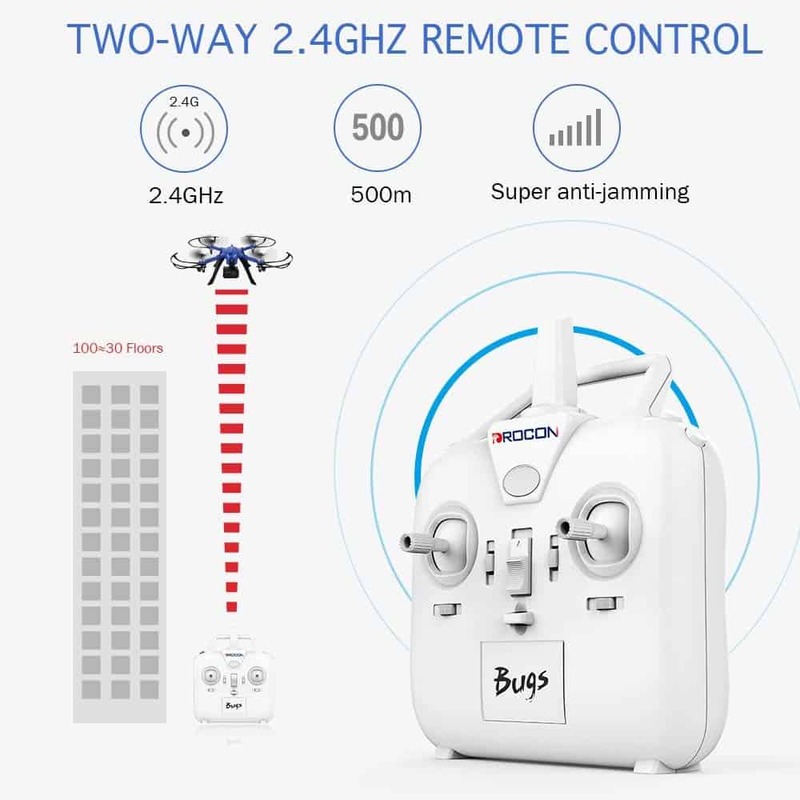 Most drones are only sent signals from the controller, but the Blue Bugs 3 drone communicates back. That’s why there is no noticeable delay in control. When you want your drone to respond, it does! Who wants a drone that dies in 5 minutes, not me … I want my drone to go far !! !